One Saturday a couple of weeks ago, I woke up around 8:30am excited for what I knew would be a productive day. I’d get some errands done, do laundry, and maybe even start outlining my next book. But first, I thought, I’ll play some Divinity: Original Sin 2. At 4pm, I knew I had made a mistake. At 11pm, I realized that I had just accidentally played for 14 hours straight. Divinity: Original Sin 2 is just that kind of game, a brilliant, absorbing RPG that ruins your plans and steals entire days from your life. It took me 76 hours to finish the game, and I’m already plotting my second playthrough. I don’t think it’s an exaggeration to say that it’s one of my favorite games of 2017 and one of the best role-playing games I’ve ever played. It takes the depth of Baldur’s Gate II, mixes it with the systemic chaos of Ultima Underworld, and sprinkles it all with a healthy sense of humor. The writing is spectacular. The companion characters are particularly lively, offering their own side quests and chiming in with thoughts and banter after every major plot revelation. But even the little moments are fantastic. There’s the crab who thinks it’s an all-powerful wizard, the dog who turns out to be a demon, the crab who’s looking for a crab who thinks it’s an all-powerful wizard, and oh so much more. You’ll meet characters with dark secrets, characters with even darker secrets, and characters who just turn out to be straight-up assholes. It rewards experimentation. 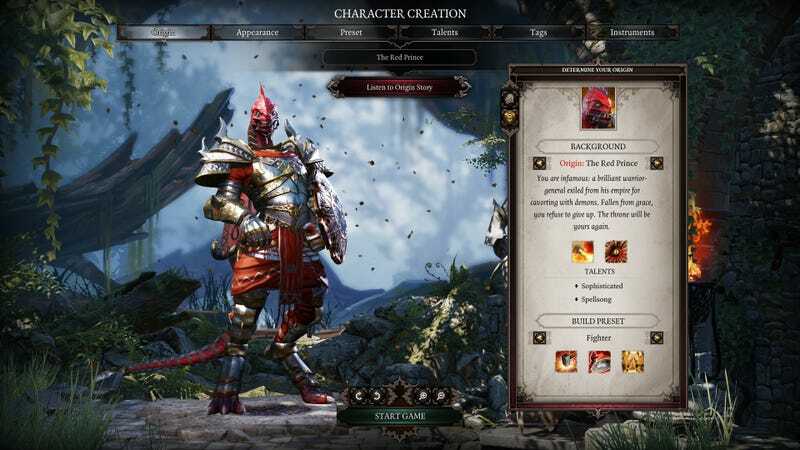 As Nathan pointed out in his review, Divinity: Original Sin 2 is a game begging you to exploit it. After slamming my head a few times against one tough boss halfway through the game, I realized that while one of my characters was talking to her, the others could use a teleport spell on her. Knowing that the main room would immediately spawn a few hellish beasts that would decimate my party, I teleported her a few meters away, where my characters could group up and take her down with less of a problem. As a result of all this, you’re constantly making interesting decisions. Every minute of Divinity: Original Sin 2 is actively engaging your brain. There’s no going on autopilot or mindlessly mashing buttons while you play this game. You have to make choices constantly: who to recruit, how to solve disputes, what sort of abilities to give each character, and so on. Just about every quest can be finished in multiple ways, and they all work together in an unexpected, delightful fashion, sometimes with weighty consequences. Save one character in the first act and he might show up in the finale. Choose to leave a tortured wizard in his prison and he might just escape and try to kill you later. And so on, and so on, to the point where you might just want to start a second playthrough just to see what else might happen. I do have some gripes—there are a lot of bugs and the UI can be a real pain—but this is a special game, one that’s well worth your time if you’re into RPGs and have a PC. Just be warned: You will probably not get anything else done for a while.